Looking for Chakana's other labels? Maipe was the Lord of the Winds for the ancient Andean people. Argentineans still invoke his name to clear the skies after a heavy rain or to temper the summer heat. These wines, children of the Sun and the Winds, are produced from grapes grown at the foothills of the Andes Mountains at an altitude of 3,000 feet above sea level. The intense color and aromas capture the expression of the soils that gave them birth. 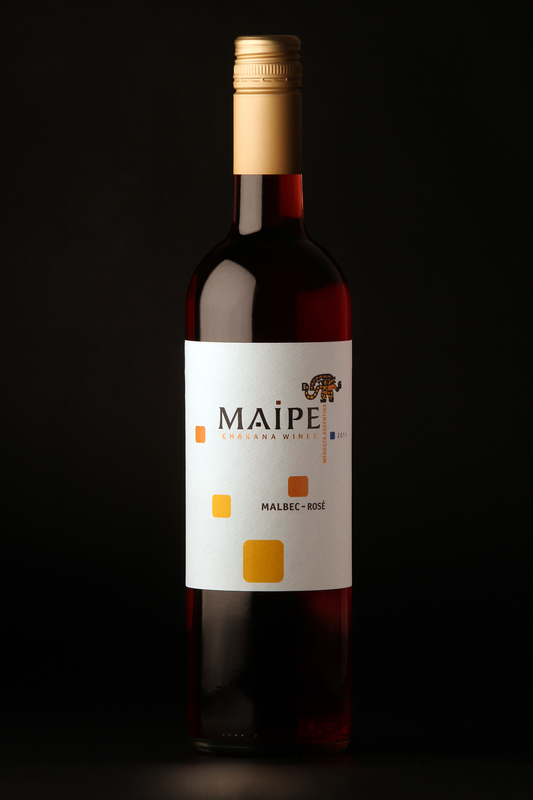 Maipe is produced in a state-of-the-art winery, Chakana, built with the purpose of achieving outstanding quality. The winemaking process is focused on treating the grapes with great care and with strict control of every step of the production. Wines are designed under the responsibility of the renowned international wine consultant Alberto Antonini. The winery is located on a 150 ha. estate, 34 km South of the city of Mendoza, in Agrelo, Lujan de Cuyo. The grapes grown are 35 year-old Malbec, Bonarda and Cabernet Sauvignon. Deep and textured soils facilitate plant development and confer great body and structure to the wines. The year-long sunny and dry conditions allow almost organic viticulture practices. The outstanding feature includes a great daily thermal amplitude, with mild days and cold nights, permitting a particular richness of polifenols that improves the wines flavors and color. A drip irrigation system has been set up to achieve a precise control of the vegetative cycle and a rational use of water. Waters are processed and used in the vineyards. Wine Profile: Medium bodied, elegant, fresher fruit. Round tannin on gravels. Wine Profile: Full bodied, impressive tannic structure and roundness, spicy and complex. Wine Profile: Complex, ripe fruit, medium bodied, elegant. Terroir: Sandy clay gravels, 70cm. soil depth, Some limestone; warmer climate. They also source wines from contract suppliers in Ugarteche and Medrano, for entry level wines, and in Vista Flores, for Estate Selection & Ayni levels.